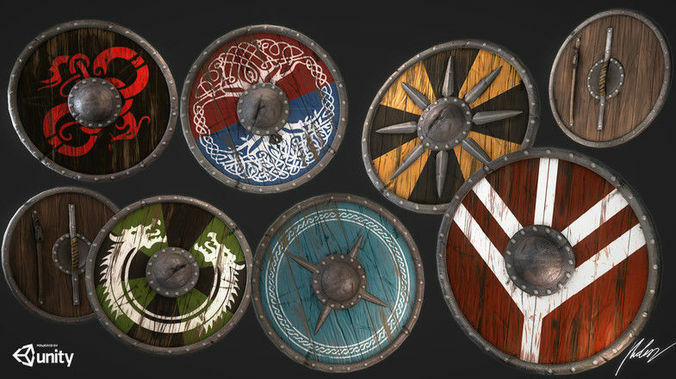 This is a game ready medieval viking shield pack for your games and characters (or as decoration for your level) consiting of six handcrafted high quality assets. Screenshots taken from FBX imported in Unity3D. I like the painted wood texture. Very nice work.